Developer Iberdrola secured a licence in Germany’s second offshore wind auction in April 2018 for the Baltic Eagle project. The manufacturer is scheduled to deliver and install the turbines in 2022 and 2023, it stated. It currently offers a 9.5MW turbine with a rotor diameter of 164 metres and has also achieved a power rating of 10MW with its V164 platform. MHI Vestas’ new V174-9.5MW features minimal design changes from the V164-9.5MW, the company stated. Each blade of the new model weighs 35 tonnes — the same weight for the V164 blades. However, its rotor diameter is increased to 174 metres with 85-metre blades, up from 80 metres, and a "load minimising design profile", the manufacturer stated. The manufacturer had trademarks approved for words relating to V174 turbines in September 2018. 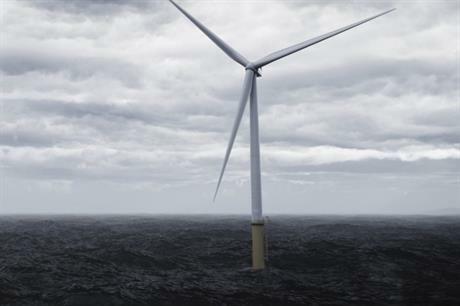 MHI Vestas had signed a similar preferred supplier agreement with Iberdrola in November for the Vineyard Wind project off the US coast. There, it is in line to supply its V164-9.5MW turbine. The manufacturer has also previously received orders for two other German offshore wind farms: Borkum Riffgrund 2, which was commisioned last year, and Deutsche Bucht, which is scheduled for installation in 2019. Iberdrola, meanwhile, has previously installed the 350MW Wikinger wind farm in the German Baltic Sea, and is due to commission the 10MW Wikinger Süd project in 2022. It stated that it would operate the three wind farms through Mukran port on the island of Rügen.